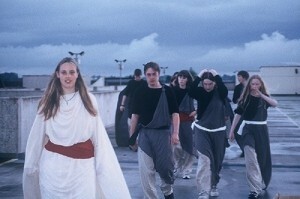 In 2004, a group of 12 teenagers performed an adaptation of Sophocles’ Greek tragedy ‘Antigone’ in Ormonde Street Multi-Story car park, as part of Barnstorm’s ‘”Bringing it Home” programme, in which former Barnstormers returned to work on projects which they themselves initiated. A Millennium open-air theatre spectacle celebrating Kilkenny’s heritage and people, River Through Time took place in Kells, Co. Kilkenny. More than 250 people participated in the 2-day event, which recreated a medieval village in the grounds of Kells Priory. 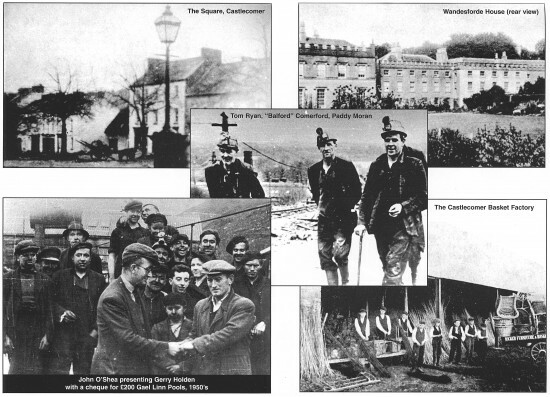 The Ballad of Rory Roe, a play commissioned from Ken Bourke, formed the centrepiece of this event. an outdoor theatre spectacle involving EVERYONE!